At Vitali Health Centre, we have a holistic multi-disciplinary team of qualified healthcare practitioners that ensure that people receive the treatment most suited to their individual needs. Our aim is to provide care that is safe, affordable, sustainable and effective. Holistic: necessary to the completeness of the whole; or comprehensive, whole and balanced. So Integral Health may be seen as healthy body + healthy mind + healthy relationships + a healthy society. ABOUT : I am a fully licensed medical doctor in the modern tradition, MBChB ( in translation: Bachelor of Medicine and Bachelor of Surgery), acquired at Stellenbosch University in 1994. Over the subsequent years since graduation, I have developed a special interest in holism/wholism, exploring areas of alternative medicine, natural therapies, energy medicine, functional medicine and energy psychology. I practice what I call ‘good medicine’, combining conventional medicine, and prescribe pharmacological medicines or surgical therapies when required whilst embracing complementary approaches such as Functional Medicine and Energy Psychotherapy. At the same time I take into account the individual’s belief systems, attitudes and environments. If there’s a middle ground between the mainstream (often too narrow-minded and corrupted by special interest groups) and the far-out (often too fuzzy-minded to pass the litmus tests of reasonableness and evidence-based critical thinking), then that’s the territory I’m trying to stake out. What I offer is my own modest and ever-evolving attempt to make sense of all this, based on years of personal inquiry and experience as a health professional. ABOUT : Every individual is ultimately responsible for their own state of health and I perceive myself as a facilitator towards healing the body by using various means of skills which I have acquired over the years. Since every person is unique I make use of my skills in slightly different ways or use different skills within different situations. 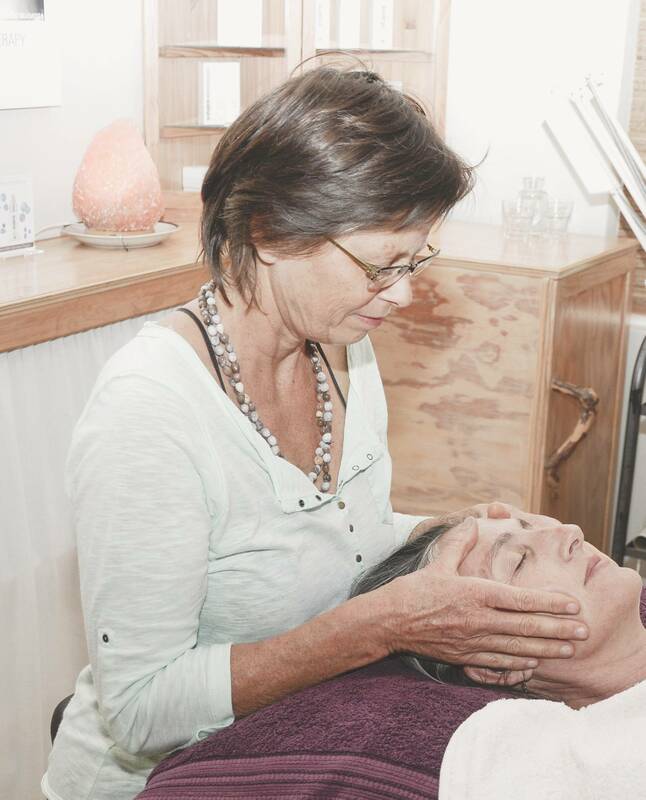 I was trained in Aromatherapy (Eve Taylor/London & South African Association of Aromatherapy/Cape Town, Reflexology and Swedish massage (Academy of Health & Skincare Therapy) over 22 years ago. Since then I have completed courses in Shiatsu, Basic Yin Shin Do and Basic Jin Shin Jitsu, Reiki (Usui /Master), Sound work, Lay Councelling (FAMSA) and EFT (Emotional freedom technique). It is my aim to help people reduce stress, tension and pain, balance their energies thus creating peace, harmony and vitality once again. Positive thinking can strengthen your immune system and change your life.